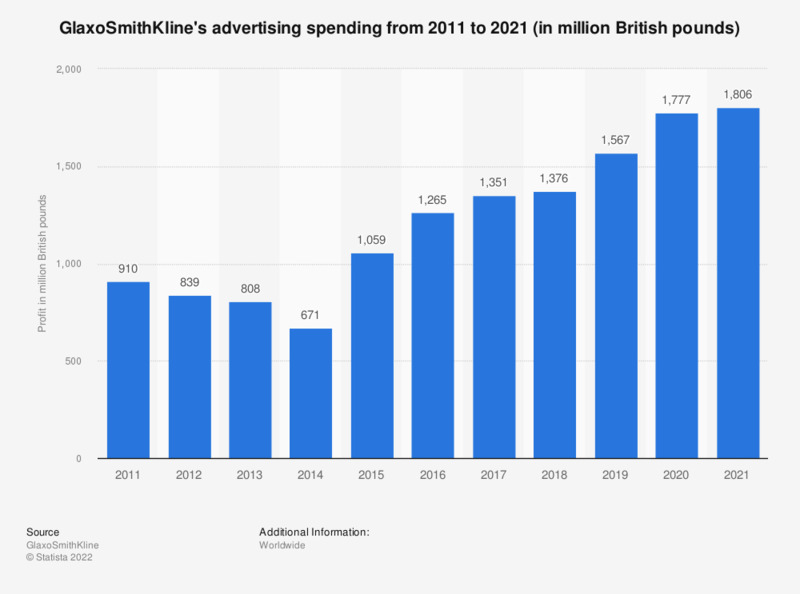 This statistic describes the advertising spending of GlaxoSmithKline from 2011 to 2018. In 2018, the company reported ad spending of some 1.38 billion British pounds. GlaxoSmithKline plc is a global pharmaceutical and biotech company, headquartered in London. This statistic was assembled from several editions of the GSK Annual Report.